*NOTE: “Under Vote” is registered if a voter chooses not to vote in that race while an “Over Vote” is recorded if a voter chooses to vote for more than one candidate when asked to only vote for one. 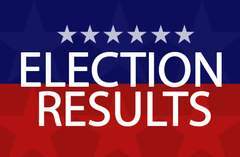 The candidates listed above were nominated by their respective Ward, but elected at-large. The top vote getter for each council seat will serve a four-year term and a two-year term for Mayor. The vote tally for the City’s Measures are also provided. The Orange County Registrar of Voters Office has up to 28 calendar days to certify the election results. The newly elected and re-elected members are scheduled to be sworn in at a Special City Council Meeting on Tuesday, December 11, 2018 at 6 p.m. in the Council Chamber, 22 Civic Center Plaza, Santa Ana, CA. For more information please contact the Santa Ana Clerk of the Council Office at (714) 647-6520, during regular business hours, 8 a.m. to 5 p.m. Monday through Thursday and alternating Fridays.